Sgt. 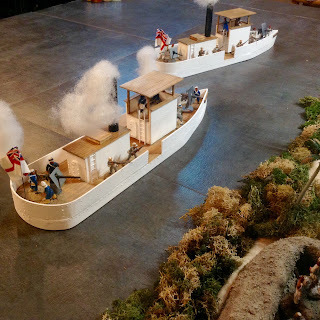 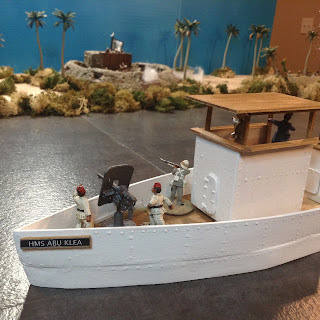 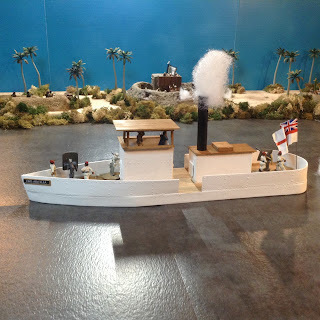 Guinness: New L Class (M1900) Gunboat arrives! 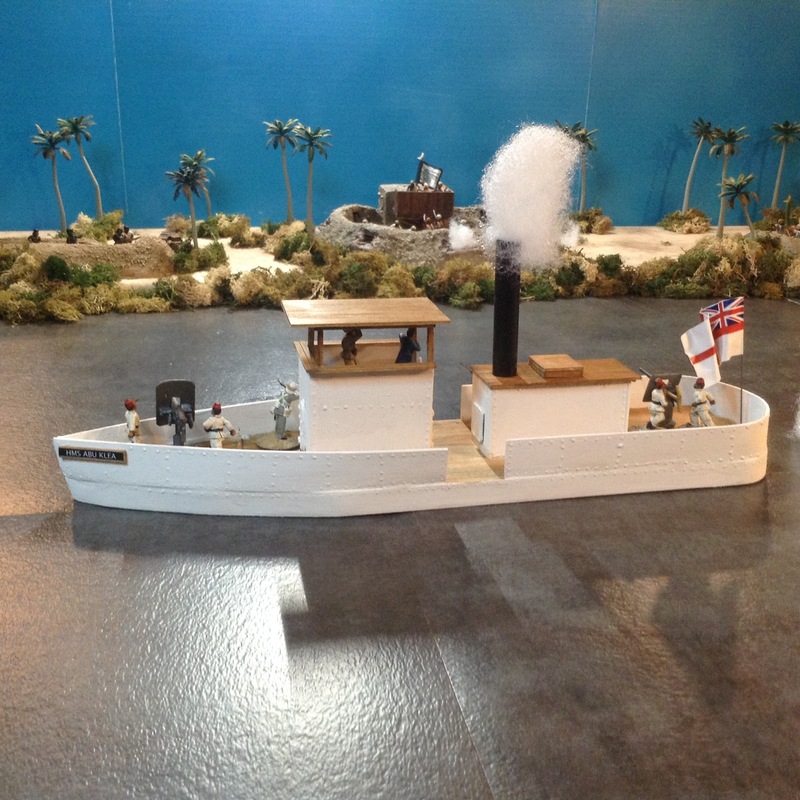 The new Lucas Class (Model 1900) Gunboat has arrived! 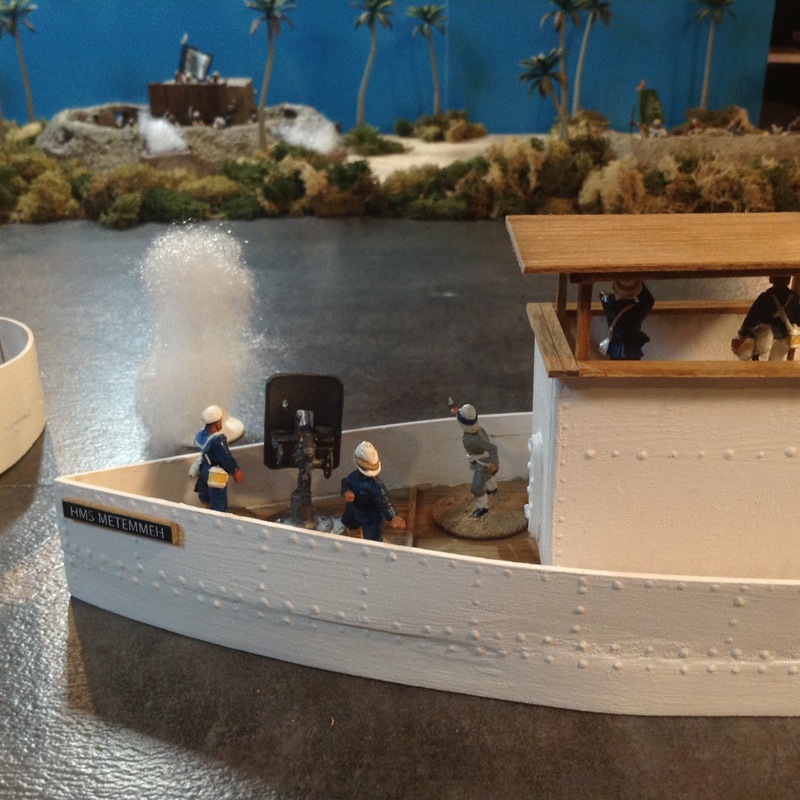 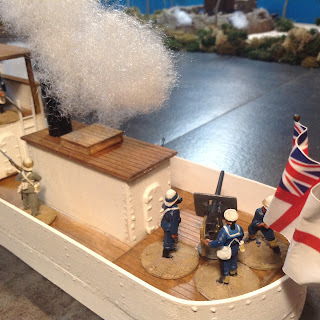 In This sequence the New L Class (M1900) Gunboats bombard Dervish Nile mud forts (made by Bill of Bill's Gamer Garage). The HMS Abu Klea crewed by Egyptian gunners. The HMS Metemmeh crewed by British crews. Above, gunboats pictured from left to right, a B Class, an original L Class, and lastly the new larger armored L Class (M1900). All of these boats including the dhow in the top left were made by Last Stand Dan in his "Boatyard". 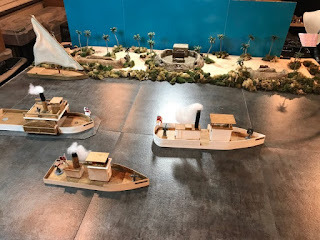 I have have most of his boats and have used them all and can honestly say they are awesome boats, sturdy, wargamer friendly, and a great value. 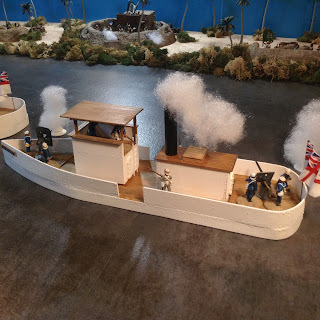 Here's the link to his site and the link to his boats page, however it was made prior to the new L Class being designed and built. 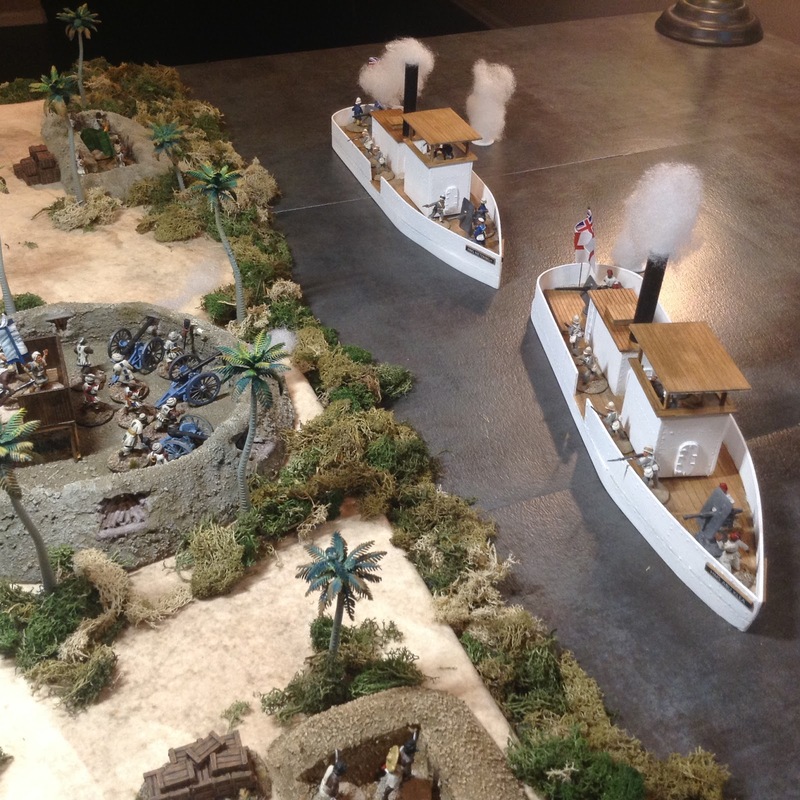 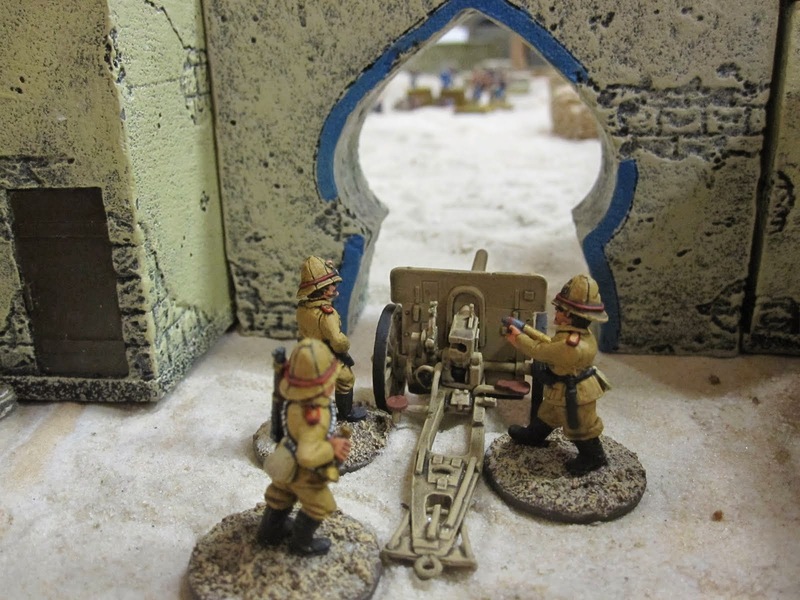 Check out his site for some excellent AAR's and great pics of his boats and games.